I have decided that I am going to do a series of mandalas on 12×12 color gradient card stock. Once this series is done, I will be getting prints to sell. 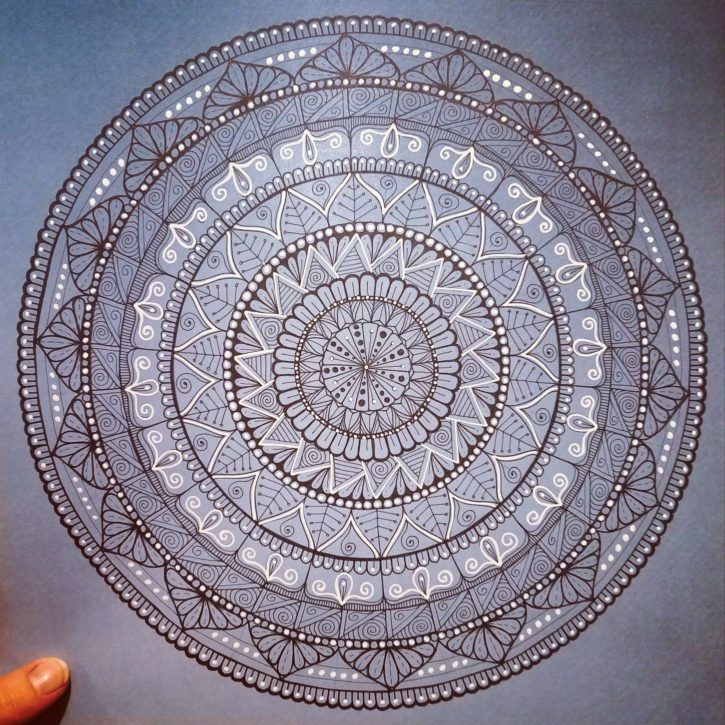 This mandala was completed with Staedtler pigment liners and a white gel pen. I worked on this mandala for a total of 8 hours over two sessions. This is the first time that I have ever used the white gel pen as a complimentary color on one of my pieces. I really like the way it turned out and the white actually made the entire thing pop. I intend to use this same technique with the next four mandalas in this collection. Don’t forget to visit my YouTube channel to watch the time-lapse. If you like what you see, please leave me a comment below. I am also very open to suggestions for patterns for the next four. My advice to you is try something you’ve never tried before, it just might be spectacular! The first mandala of Collection I.